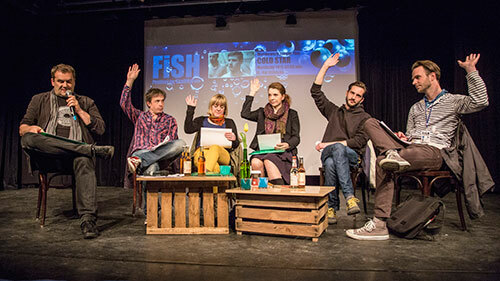 FiSH – Festival im StadtHafen – is a yearly event for the young German film scene located in the city harbour of Rostock. The main focus is on the national competition JUNGER FILM which features the best short films of the current independent filmmaker generation. The films are all reviewed by a jury which discusses their opinions publicly on stage. Another part of FiSH is the SehSterne programme which consists of films, reportages and documentaries about and from the state of Mecklenburg-Western Pomerania as well as specific topics such as Film+Music. FiSH also includes an international programme, which provides a forum for ambitious and promising directors of one guest country from the Baltic States. Additionally, the media institution and the Ministry for Education, Science and Culture of the state of Mecklenburg-Western Pomerania award the Medienkompetenz-Preis M-V to the best media education projects of the state. Networking meetings, workshops, receptions and film parties provide possibilities for exchange between the audience and the film industry. 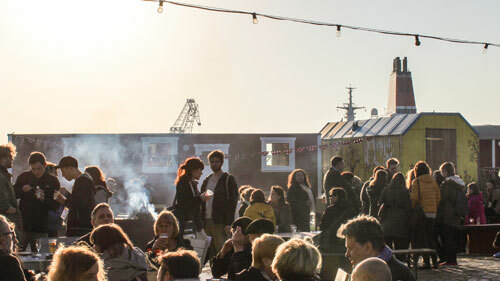 FiSH has been attracting over 3,000 film lovers every year to venues situated along the harbour. The festival has been under the patronage of the Minister of Culture of Mecklenburg-Western Pomerania Mathias Brodkorb since 2013.